2017 is here and many of you might have made resolutions of getting fit this year. So, Girls, it’s time for workouts. Fitness will improve your mental and physical strength to fit fight against the stress you deal with every day. It’s that time of the year when you can either add weight or loose it by doing workouts regularly. Our list of 5 Best Workout Leggings For Women will make your life a little easy. A Workout should be fun and fashionable with these leggings. With free-flow fabric technology which is 82% Polyester and 18% Spandex, Onzie Women’s High Rise Leggings is the coolest legging you can have. It will keep you cool when you sweating it out with the moisture wickings. It comes with the stretch fit. With Double side zippers and a super flattering fit, Blue life fit moto zipper leggings will add tons of swag to your personality. You can wear it while workouts and you can also treat them as pants. It comes with spandex blend which adds more style to your leggings. 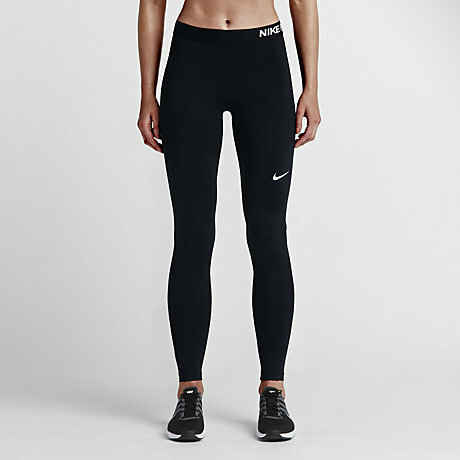 With Polyester blend, Dri-fit fabric which keeps you dry and comfortable, Nike Pro Cool Training Tights is most wanted workout leggings. The mesh panel behind the calf increases ventilation and flat elastic waistband offers a smooth fit that stays in place. The Triangular gusset allows for a full range of motion. The body-skimming fit makes these capris an ideal base layer and perfect leggings. If you’re looking to get into some compression tights/leggings for weight lifting and prevent muscle from tiring out, these leggings is the perfect fit for you. It also helps in blood circulation. The band fits nicely around the waist and comfort fit. With 87% Nylon and 13% Spandex, Alo High Waisted Moto Leggings are dry wicking and anti-microbial. With quilted style stitching on contrast glossy fabric, you can also wear these leggings for a night out. You will definitely love these, they are perfectly thick while being lightweight. Best recommended for those who are serious about sweating. The high rise which sits at the natural waist, full-length leggings with pin tuck detailing at knees are for someone who is serious about workouts.